Every half fold postcard order is backed by our satisfaction guarantee. "I cannot imagine doing business as well without PrintPlace. Plus the customer service is outstanding!" Our high-quality custom folded postcards give you twice the space of flat postcards but they still mail at the same low standard letter rate. This format makes it simple to convert existing brochures or booklets to folded postcards. This combination of more space for content and cost-effective mailing makes them an excellent direct mail tool. For half-fold postcard printing on PrintPlace, you can choose between economical 10 pt. cardstock or premium 14 pt. cardstock with your choice of gloss, high gloss, matte, or uncoated finish on one or both sides. This stock selection makes it simple to find a stock that best matches your brand and design. All half-fold postcards are in mailable sizes. Size options (before folding) include 10” x 7”, 12” x 8”, 6” x 8”, 6” x 8.5”, 11” x 8.5”, 12” x 9”, and 12” x 10.5” – all which fit USPS standards for First Class Mail when folded. In a rush? Our half-fold postcards are available with fast turnaround options. Save even more time and have us do the printing and mailing with our direct mail services! Call our friendly print experts with any questions. Use our folded postcard layout templates for all printing requirements. The layout templates can be downloaded in three different format options: PDF, EPS, and JPG. Follow the specifications provided to ensure your artwork prints correctly. All standard half-fold postcard size options are mailable under USPS requirements, which state postcards may be no larger than 6-1/8" x 11-1/2" x 1/4" thick. Half-fold postcards are eligible to mail at First Class or Letter Automated rates, as long as mail panel design and tabbing meet postal requirements. Direct mail services for folded postcards include: processing 1 mailing list, duplication removal if requested, CASS Certification, inkjet addressing, and postal presorting for automation rates. Our direct mail services cost is $24 for an order of 1,000 with an $85 setup fee (250 pieces minimum). Tabbing can be added during the ordering process. Check the “Folded Postcard Mailing Requirements” below for folding, size/shape, and tabbing guidelines. Half-fold postcards make a great alternative to brochures. You can even use pre-existing brochure designs and easily convert them into a potent direct mail tool. 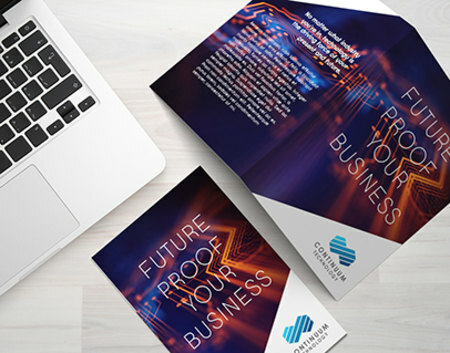 Printed on premium gloss or uncoated card stock, half-fold postcards give you plenty of space to market your message, yet fold for easy (and inexpensive) mailing. These same qualities also make them an excellent option for postcard invitations. Take advantage of the added space and include a perforated tear-off for coupons or reply stubs on your bifold postcard design. Get creative and design something with your customers in mind. Whether it’s a comment card, survey form, or order form, a reply card gives your customers an easy way to respond to your advertisement, which will increase your ROI. Check out this article to learn more about printing half-fold postcards as well as other half-fold printed products. And here's a Guide to Standard Postcard Sizes for Mailing.